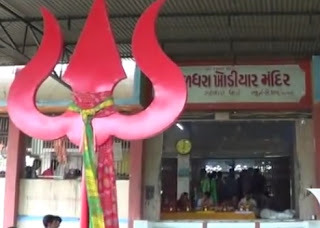 Khodiyar Mata Temple Galdhara think about 5 km located near Shetrunji riverside in dhari town of Amreli district. There is very deep water, the patient lies between Shetrunji River,known as galdharo. Dharani next high rock above the trees down there rayana khodiyar Mataji has been established. Here is some fact about Khodiyar Maa Temple in Galdhara near Dhari Gujarat India. Goddess Khodiyar Temple is located Galdhara Dhari situated Bank of Shetrunji River in Amreli district Gujarat India.The temple was built about 9 to 11th century.The temple is dedicated to Goddess Khodiyar.Here is Attractive of Goddess Khodiyar Haded Idol.Large numbers of people come here every Sunday. 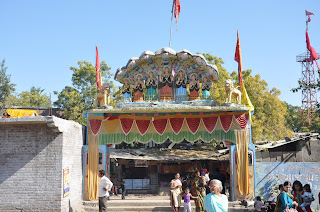 As per history The temple has been built in large river basins. 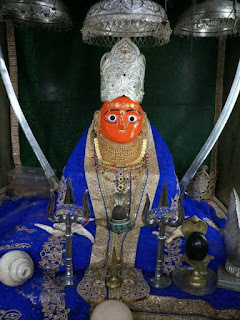 Junagadh King Raja ‘somaladene khodiyar navaghana mother goddess was the very same faith. It is said that his blessed the State ‘navaghana no was born. 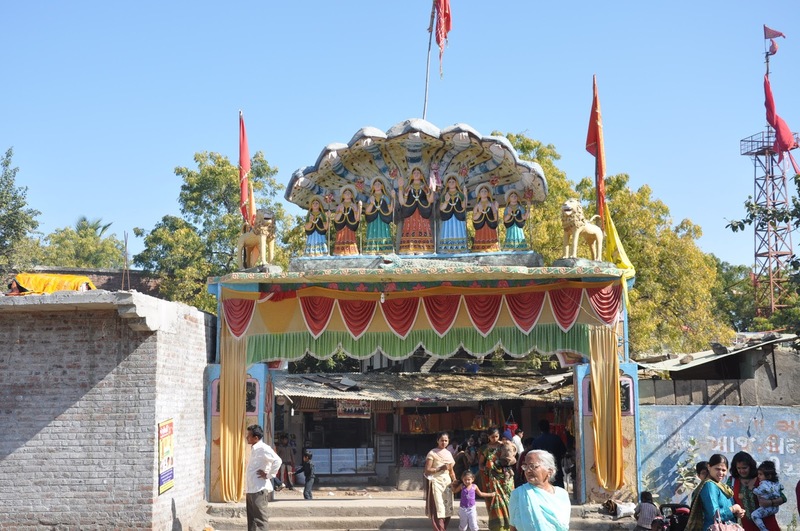 Raja ‘navagha galadhara khodiyar Mata was watching. 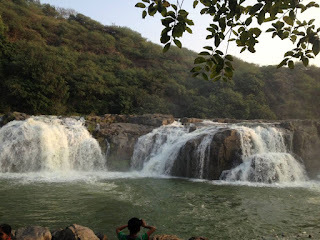 When Raja ‘navaghan its putative sister built jasala Ni Waray was passed from when he and his horse about two hundred feet above the river below him when khodiyar Mae was its defense.Galdhara come to assume the ST and private vehicles are available. Khodiyar dam is situated here. Shree khodiyar supposed to know the manifestation of the story. Its 9 to 11 centuries, around the time of this story. Botad taluka of Bhavnagar district rohisala mamadiya called a bard lived in the village. It was a cattle breeder and professor of Lord Shiva’s supreme congregations. God is very gracious and understood devalba his wife Lynn were raheva valam. Milch cattle breeder at home because they have no par Lakshmi was not, but it was not khola no khundanar, it does salya deval bane was hurt. Mamadiya and devalaba both generous, gracious and accommodating as well.Fasting the day empty-handed in their kitchen does not go back to a couple of the bard was the unwritten rule. At that time, the king of Bhavnagar district vallabhipur sivaditya name was Raj. The friendship was intimate with mamadiya bard. Mamadiya bard invariably present in his court. The day that the court did not seem to be missing something in the king’s court no one in the world is not lacking. The king and the king’s court, who also had some irsyaluo mamadiyani friendship kanani such khuncati the eye. One day the king’s mind that people talking the savi said that the mamadi no child.Apasukana are watching her mouth. In our state may have lasted. News came from the king irsyalu, According to his routine in the early morning hours of palaces. Mamadiyane king said, “Now our friendship ends.’Stating moved. This is because knowing a lot of pain in mamadiyane. People also began to kill them vanjhiyam. Advertising Programs mamadiya come home and talk to his wife the saddest heart. Mamadiy now I feel like taking poison. He approached the head of Lord Shiva tekavyum and decided that God does not accept their petition kamal puja it will expose his head.Although many worshiped Lord Shiva to bring a sword over his head mamadiya they were not happy that they were happy to Lord Shiva and said, patalalok nagadevata nagaputri and nagaputra sataputri and a son would be born to them there. Mamadiya happy to going home and his wife say everything. According to his wife of Lord Shiva on Maha Sud atham paranam detained eight empty. The seven nagani and was reopened and the child form of a serpent. There avatarela kanyanam avada mamadiya name, jogada, togada, bijabai, holabai, sansai, janabai (khodiyara) and brother’s name was merakhiyo. 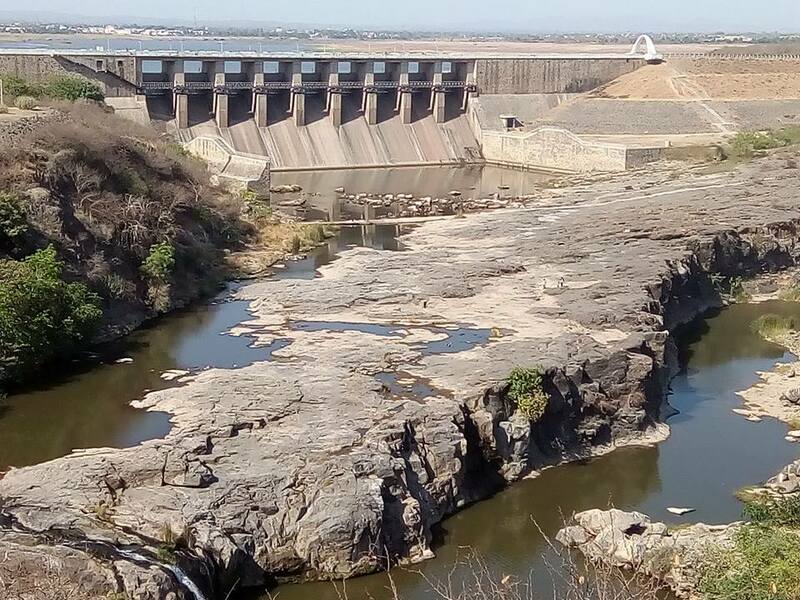 Near this temple on Shetrunji River a large water dem built known as Khodiyar Dem.Water of this dem use many farmers to their farms.The Khodiyar dem was buit in 1967.It is 32 Million Gan miter capacity of water.In monsoon session this dem looking very attractive and amazing. During Diwali and new year day organize a fair.Large numbers of people visit this temple and dem.Other attraction is Hinglaj Mata temple within 2 KM far from Khodiyar Ma temple.It has best Greenery.Must visit this places.